Throughout the day, I receive countless emails from various e-commerce sites who are trying to get me to spend money I don't have. Normally, I dismiss the notification on my smartphone, but when I open the Gmail app, I find all those unread messages waiting to be dealt with. Fortunately, Gmail has a way to quickly get rid of all those emails with one swipe. 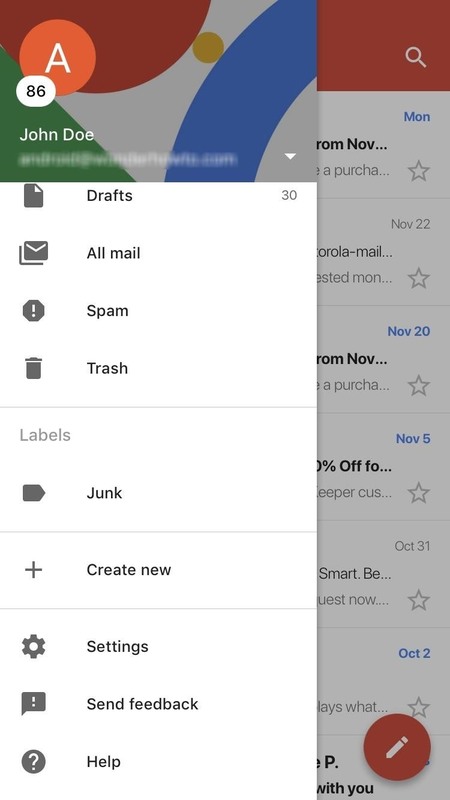 Gmail lets you swipe emails to quickly archive or delete them, and you can choose which of these two functions you want the swipe gesture to perform. So instead of opening each email and tapping a button, you can swipe horizontally from the main list to delete or archive the email. Swiping is by far the fastest method to eliminate unread messages, and it only takes a minute to set the gesture up. 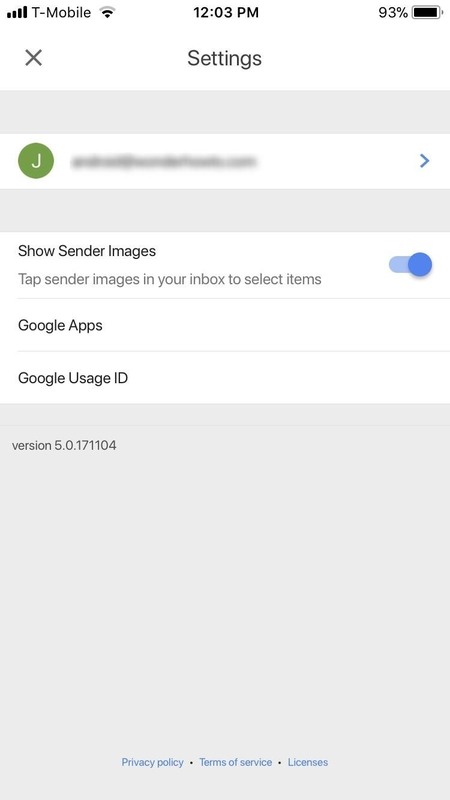 By default, the swipe gesture is set to archive emails. To change this to delete, open Gmail and select the hamburger menu in the upper-left corner, then choose "Settings" and select "General settings." Select the "Gmail default action" option and choose "Delete." Now, swiping left or right on an email will delete rather than archive. If you're using an iPhone or iPad, open Gmail and tap the hamburger menu in the upper-left corner, then choose "Settings" and select your email address. From there, tap "When removing messages, I prefer to…" and choose "Move to trash" to change the swipe gesture from archiving to deleting emails. Finally, return to your inbox and swipe horizontally on any email. 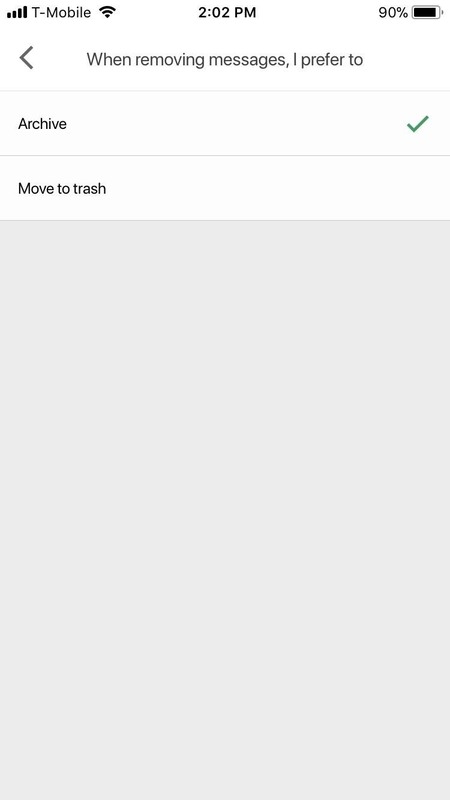 If you switched the gesture to delete, a red background will emerge, revealing a white garbage can icon within it. If you decided to keep the default action of archiving, an open box with a downward-facing arrow inside of a green background will show instead. Either way, once you swipe your finger to one side, you will be notified that you either deleted the item or archived it. 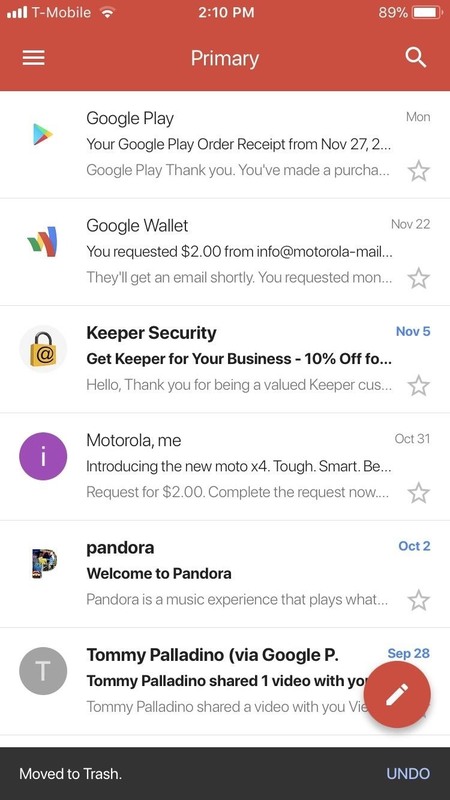 With the swipe gesture, it's easy to dismiss unimportant emails. 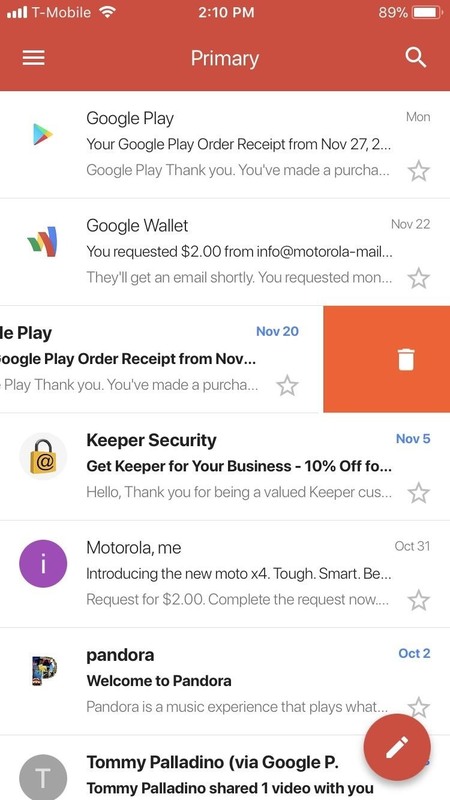 A few quick swipes to the left or right, and you can quickly get rid of all your unread messages to focus on the emails that matter. Which do you prefer, swipe to delete or swipe to archive? Let us know in the comments below.